by GT Scholars Our Impact Parent Spotlight What's new? As part of the scholar spotlight series, we interviewed a parent of one of the scholars on the Bright Ambitions programme. Please listen to the audio clip above for the full interview. You can also find the transcript below. How did you find out about GT Scholars? We found out about GT Scholars because we were looking for originally a tutoring programme for my daughter. We saw GT Scholars advertised, I asked around, no one had heard about it and on a day trip to Croydon, we saw some signs and some posters. It looked fabulous. I went to contact the Head of the programme, had a long discussion about it, just to discover their ethos and their mindset about tutoring and enhancing children’s capabilities, and I really liked the programme. We went for an interview, it was a nice interview and not only did they interview us, we interviewed them actually and we were quite pleased and that is how we started. And that was about 4 years ago we have come up to. 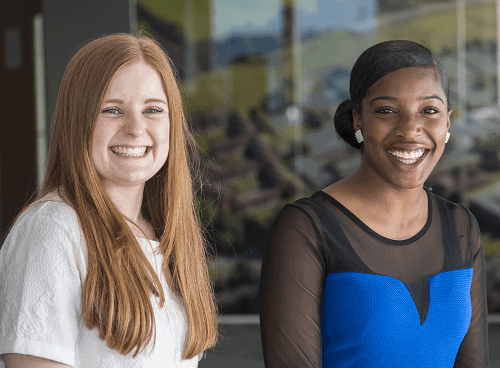 Why did you choose GT Scholars over any other programmes that you could have gone for? I looked around quite widely and I decided to go with GT Scholars for a few main reasons. Firstly I like the ethos. It has a holistic approach to developing a child, not just focused on the academic grades, just building confidence and resilience. And also, I was quite concerned about the mental challenges and the mental aspects of learning today. The way GT Scholars approach learning and developing is quite a nice approach and it’s an approach I really welcomed. What difference have you seen in your daughter after she joined the programme? The impact of the programme I’ve seen on my child is that prior to the programme, I think stress was beginning to manifest itself in just delivering grades, grades, grades, and obviously I as a parent was trying to tell my child that it’s just not about the grades even though the grades are really important, it’s about developing everything. Obviously, the children of today don’t really want to listen to just the parents only. During the programme, basically, you just hear the same messages that each parent is trying to instil in their child coming from a variety of different voices. So you have the tutor saying the same thing, you have the mentor, you the enrichment, they say the same thing and actually slowly but surely, it started to sink in. How it manifested itself or the impact it gave on my child was that I could see confidence building. Slowly but surely she was actually replaying the same messages that she was hearing from all of these various areas back to me. Her grades were improving, slowly but surely she was looking forward to her sessions, where I at the beginning definitely saw fear but now it was, it was sort of excitement. And she looked forward to the enrichment days because I always went with her, I hung around outside, I attended some enrichment days. And towards the end, she was hoping, actually, that I didn’t sit in with her. That was also a positive sign. What has your experience been with the organisation as a whole? So I feel as a parent I also get support from the GT Scholars programme. There’s the official feedback sessions you have at the end of the term, which you can, a member of the GT Scholars will phone you and have a discussion with you or you can write your feedback in. I think that’s really worthwhile and that just gives you the sort of official line to see whether your child is progressing. In between that, you also have administrative help from the GT Scholars team, actually probably every fortnight I hear from a member of the GT Scholars team, who will ask you how the program is going, is there anything you need to do, what are you looking for, have your goals been achieved or have they been met, would you like to attend the next term, again what your goals, so I feel that it’s more of a family, again, a holistic approach to developing my child which I am really supportive of. I wouldn’t like to attend a tutoring programme where they just took my money and said right we’ve given you, we’ve taught your child academically, thank you very much, get on with it. I find that the GT Scholars approach supports the parents and the child as well. What would you say to a parent thinking of signing up for a GT Scholars programme? To a parent who is thinking of signing up to GT Scholars, I would say, please just do it. It’s really beneficial. The mentoring, tutoring, the support you get is second to none and you’re not going to get that anywhere else. I have researched extensively. It helps your child‘s development at any stage. Near exams, you can focus on the exams itself. Pre-exams you can just help develop your child. It’s beneficial, you have nothing to lose really by joining GT Scholars programme. Do you have any final thoughts that you would like to include? I’ve looked into tutoring, all of the aspects of tutoring, tutoring itself is really expensive, mentoring is expensive, enrichment days, are for me, extortionately expensive. GT Scholars is a much more cost-effective way of developing your child and that’s why I would thoroughly recommend the programme. by GT Scholars Our Impact Our story Private tuition What's new? If you ever wondered about the story behind GT Scholars and how it was founded, then watch this interview with our founder, Temi Kamson. Temi has a Masters in Civil Engineering from the University of Nottingham and a PGCE in Mathematics Education from the University of Cambridge. 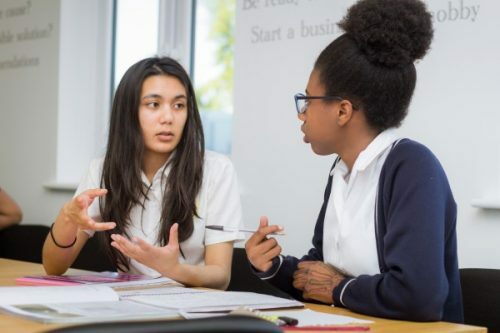 Having worked in state and independent schools, she set up the GT Scholars Programme with the goal of helping ambitious young people achieve their full potential, regardless of their socio-economic background. In this video, she also talks about her personal experience with the education system, why scholars enrol in our programme, what scholars will gain from the programme, and what makes our scholars successful. Why did you start GT Scholars? 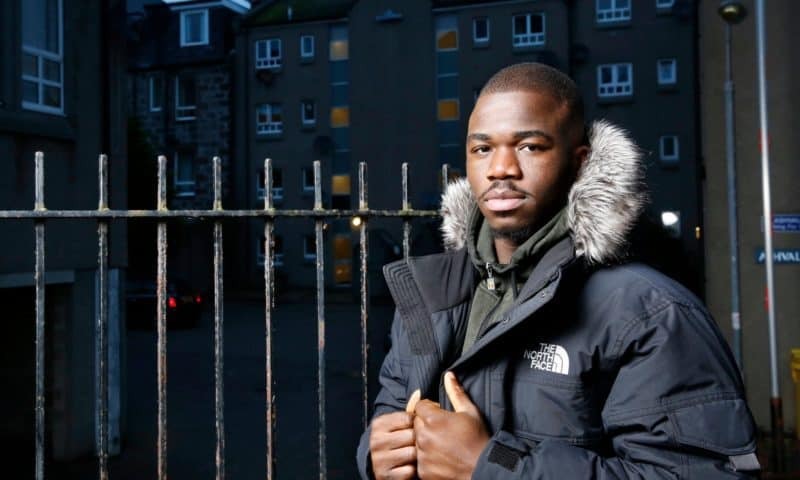 I started GT Scholars based on my own personal experience of growing up in South London. I grew up in a single parent home, grew up in council housing and went through the state school system. I remember one of my teachers from primary school, Miss Bickersteth, telling me ‘’Temi, you can be anything you want to be.’’ That statement was so powerful that it stayed with me for the rest of my life, it is still with me today. There were so many times that I wanted to give up but I was really fortunate enough, especially towards the end of my school years to have right opportunities come along at the right time, and that really helped me. It really supported me in those final years when I was thinking about university but not thinking I was good enough. I was really lucky, I went off to university, I studied engineering but later on, I decided to retrain and become a teacher in the hopes that I could give back and make a difference in someone else’s life. It was while I was teaching, working with young people, that I really wanted to inspire them and raise their aspirations. What I realised while I was teaching was quite profound. Many of the young people that I worked with were already really ambitious. They wanted to do well; they wanted to get good grades at the end of school. But many of them they just didn’t feel confident, they didn’t feel that they had the ability within them. These beliefs were so deeply ingrained that many of them thought that even if they did their very best; the best they would ever be able to achieve was a C-grade. Some of them felt that they did not have the right background and that certain opportunities were only available for the privileged few. After some time, I realised that young people needed more than just good teachers. They needed people to support them in terms of seeing the opportunities available to them and supporting them to make the most of these opportunities. Why do young people join GT Scholars? So at the moment in England, only about 1 in 3 young people from low-income homes, are able to leave school with 5 GCSE’s or above and this is, of course, actually quite disheartening. There are many young people who would love to achieve better grades by the end of school, access top universities get into competitive careers but often what happens is that they genuinely have no idea how to do this. The saddest part is that many of them are so full of self-doubt that they don’t even believe that they are capable of achieving this. What do young people gain from GT Scholars? GT Scholars is a not-for-profit social enterprise and registered charity. We run after-school courses, workshops and programmes for young people, particularly young people from low-income homes. Our goal is to give them the support they need so they can achieve their academic and career potential. Scholars on our programme receive academic support through tutoring. They also receive coaching or mentoring from undergraduates, graduates and professionals from top universities and leading organisations. Our scholars also get to take part in enrichment activities such as visits to the city, visits to universities and the aim of that is to help them understand the opportunities that are available to them. We also run skill building days, again, with the aim to help them and support them so they know how to make the most of these opportunities. What makes your scholars successful? Over the past few years, we’ve had support from organisations such as Charities Aid Foundation, School For Social Entrepreneurs and The Young Foundation. Our scholars that have been on the program have been able to move an average of 2 grade points in a year and we’ve even had some of our scholars move from a predicted D grade to achieving A-grade within a year of being on the programme. We are really proud of that. What makes GT Scholars successful is the genuine belief that our tutors and mentors have in our scholars. They invest their time and energy supporting our scholars and building positive relationships with them. This, in turn, helps our scholars believe in themselves and that helps them realise their strengths and ultimately helps them improve their grades and career prospects. I know I wouldn’t be here today if not for the role models that supported me and believed in me when I was growing up. So if there is anything I have learned over the past through years it is that anyone can make a difference. An hour a week may seem so small, but those few hours could have such a positive influence on a young person’s life. 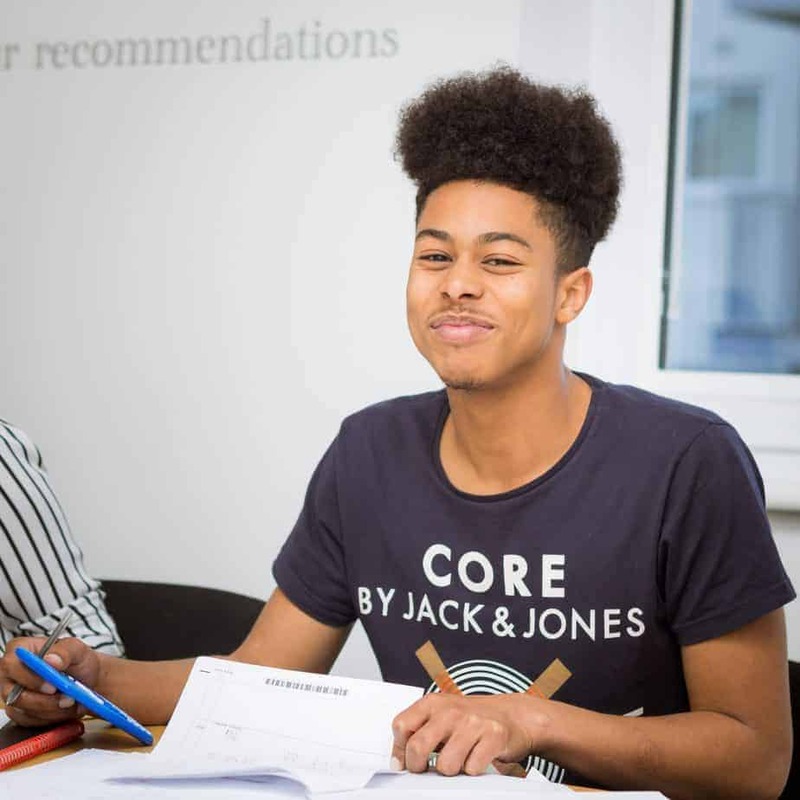 GT Scholars is a not-for-profit social enterprise that provides tutoring, mentoring and enrichment that is designed to help young people aged 11-16 achieve their academic and career aspirations. Contact us if you would like to know more about the GT Scholars Programme and how you can join. by GT Scholars Our Impact Volunteer interviews Volunteer roles Volunteers What's new? Every few weeks we conduct an interview with one of our amazing volunteers to find out more about them, why they decided to volunteer with GT Scholars and how their experience has been so far with us. 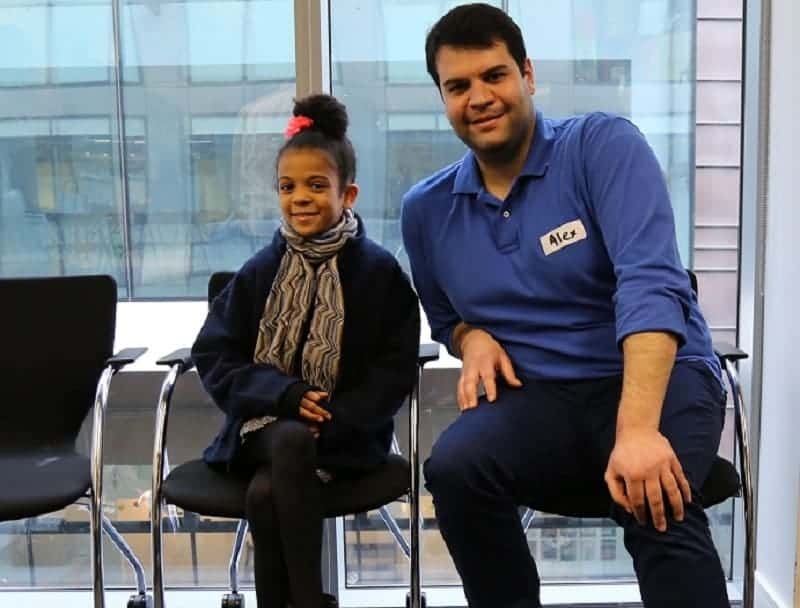 Here’s a recent interview with one of our volunteer tutors – Alex. Why did you decide to volunteer some time tutoring with GT Scholars? I was looking for a chance to gain experience in teaching. The GT Scholars Programme offers a great opportunity to do so while also volunteering in the education sector. GT Scholars provide online sessions and lots of supporting material for tutors and tutees. It has been a great experience for me so far. How important was it for you to gain support when you were younger? Support has contributed a lot to my self-growth and development. It has given me the necessary tools to move forward and understand what it takes to succeed academically. Tutors, teachers, and professors all played a vital role in my studies, teaching me how to organise my schedule and efficiently manage my time. Why do you think tutoring is valuable to young people? Guidance and support are essential ingredients in order, for a young individual to flourish and become the best she/he can be. Tutoring can equip students with knowledge and enhance their self-confidence. Furthermore, tutoring provides structure by forming a functional schedule for children to follow and to maximise their potential. What have you gained from volunteering with GT Scholars? I’ve gained teaching experience which is a big plus for my job search in the education industry. I met new people and exchanged ideas on how to become a better tutor, along with other interesting teaching concepts. What do you think the most important skill is to be a volunteer tutor? You need to be patient and approach tutoring from the student’s perspective. Figure out how to tackle difficult concepts but also be in the position to justify even the easiest terms so that the student can follow. Watching a young mind maturing is the most fulfilling part of my volunteering experience with GT Scholars. Alex is a postgraduate student working towards his MSc in Biomaterials and Tissue Engineering at University College London. He is currently a volunteer Maths tutor with GT Scholars. GT Scholars is a social enterprise that provides tutoring, mentoring and enrichment to young people from a range of backgrounds. To find out more about our volunteering opportunities, please get in touch with us via the website. by GT Scholars Growth mindset Our Impact Our story What's new? What will you gain from the programme? GT Scholars is no ordinary tutoring programme! Our scholars benefit from improved grades, increased confidence, motivation and raised aspirations. Click on the video to find out what our scholars have to say about the programme. For anyone who has been on the pilot programme you will be aware that we used the phrase GT Schools to describe the programme. We’re now incorporated as a Community Interest Company and we have officially changed the name of the programme to ‘The GT Scholar’s programme’ – GT Scholars for short! The website will now be gtscholars.org and this will launch towards the end of January 2016. 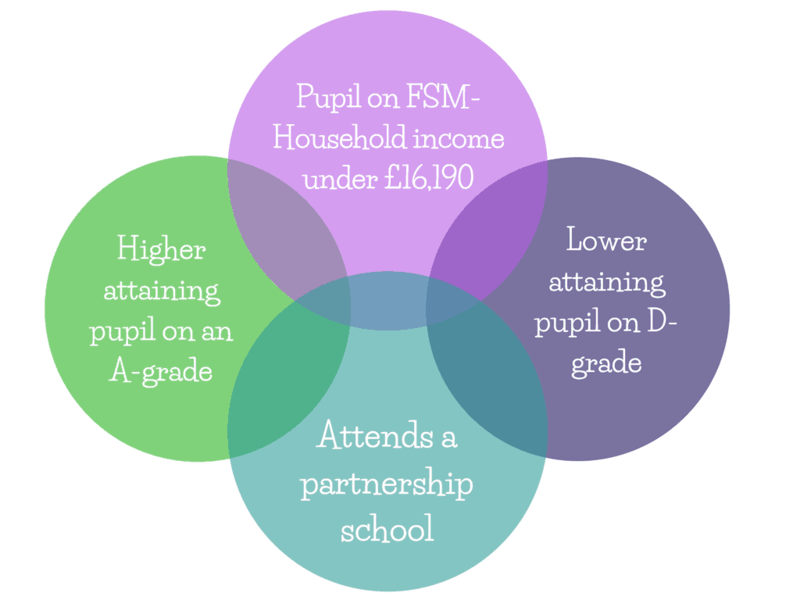 When we launched the GT Scholars programme, we wanted to create a programme that would have a high impact on students attainment, particularly for students from lower income homes. We wanted to help students understand that they are gifted and talented and that they are capable of achieving their goals in school and in life regardless of their current attainment or family background. GT Scholars seemed like an appropriate name. Why is the programme only for gifted and talented children? What about average children that aren’t gifted and talented? My child isn’t gifted, can you support him so that he can become more gifted? For many years, gifted and talented has been reserved for the highest achieving students in school. People often think of gifted & talented children as children that are naturally talented in Maths, English, Science, Computing, Music, Art, Drama or Sports. However, we like to think of this from a different perspective. We know that children can be gifted with high levels of empathy, confidence or even a high level of patience. Others are gifted in public speaking, caring for others or speaking up on behalf of others. Students can be gifted in entrepreneurship, creativity, perseverance or leadership…the list goes on. It’s amazing when you look at gifted and talented from a new perspective, you begin to realise that ALL children are indeed gifted and talented. Psychology tells us that we when we think of children as ‘average’ or ‘below average’, we are effectively perpetuating the problem of low attainment. In psychology, this is sometimes called the ‘self-fulfiling prophecy’. If more parents and teachers saw that their child had the potential to be a lawyer or a scientist, they would probably have a very different approach when dealing with challenging subjects. Likewise when children see that their parents and teachers believe in them, they automatically approach things very differently. Too many parents or teachers think of children as ‘average’ or ‘below average’ – it was no wonder that children continue to get ‘average’ grades. So we would like to challenge you to rethink the phrase “gifted and talented”. When we as parents, teachers, tutors and mentors begin to accept each child as gifted and talented and embrace their individual talents, only then, will we begin to see just how amazing they really are! We’ve won the Lloyds Start-up award from School for Social Entrepreneurs! by GT Scholars Our Impact What's new? We’re pleased to announce that The GT Scholar’s Progamme recently won the LLoyds Start-up Award from School for Social Entrepreneurs! Launched in April 2012, the Lloyds Bank Social Entrepreneurs Programme is a partnership between SSE (School for Social Enterpreneurs), Lloyds Bank and The Big Lottery Fund. We are extremely grateful for this award as we know that it will make a huge difference in expanding our offering. The award provides funding as well as mentoring and training to social enterprises and social entrepreneurs that want to make a huge impact. This is a huge achievement for us. The grant will help us reach out to new parents and students and it will help us extend the enrichment programme to students that are already on the programme. August 15, 2015 March 29, 2018 Tagged: Latest News, What's new?